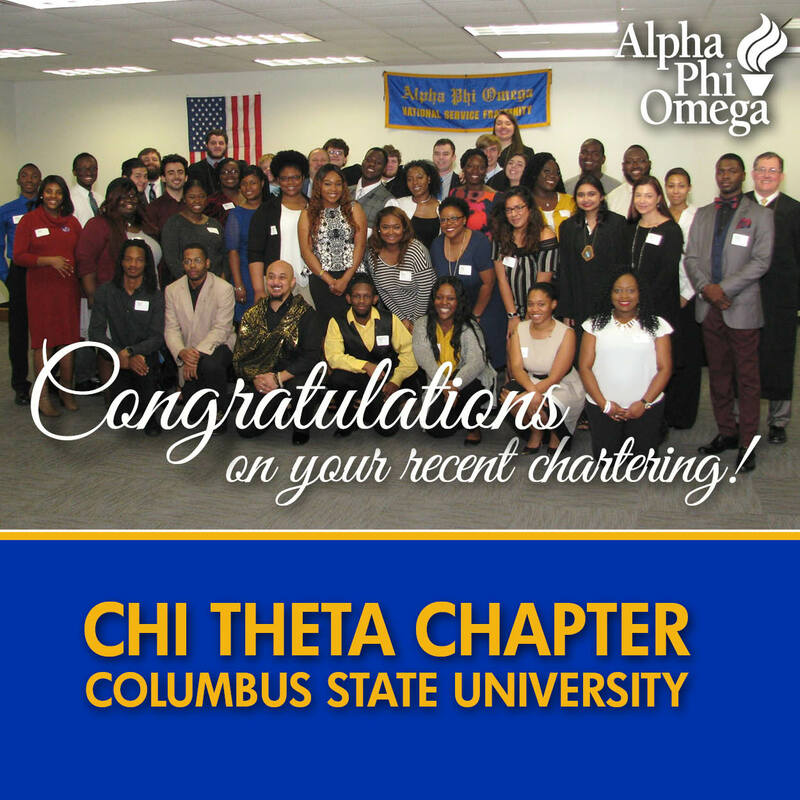 Alpha Phi Omega National Service Fraternity is proud to announce that Chi Theta Chapter at Columbus State University re-chartered Saturday, February 17, 2018, bringing 37 new members into the Fraternity. Region IV Chair, Michael Francis presented the charter to the chapter, and Delta Chapter at Auburn University hosted the ceremony welcoming the brothers to the Fraternity. Congratulations, brothers! We look forward to watching the Chi Theta Chapter grow and provide a positive and lasting impression on the Columbus State University campus and its surrounding community. To learn more about starting a chapter, click here.